The rapid transformation in telecommunications industry has resulted in rapid transformation of the ecosystem. Communication Service Providers (CSPs) are working aggressively to either build new networks or enhance existing ones to support new technologies and growing end user demands. As CSPs rush to deliver differentiated service offerings, they face numerous challenges in an effort to provide high quality and experience on the new service while ensuring that the existing offerings are not impacted. At the same time Telecom Equipment Manufacturers (TEMs) face the challenge of keeping pace with CSPs requirements and ensuring consistent quality on their products. Telecom Service Providers are rapidly transforming their legacy networks to support new IP and Multimedia services. Network equipment manufacturers (NEMs) & Service Providers face a constant challenge to expedite the development, testing and deployment of new network elements that offer a wide range of value-added, revenue generating services. 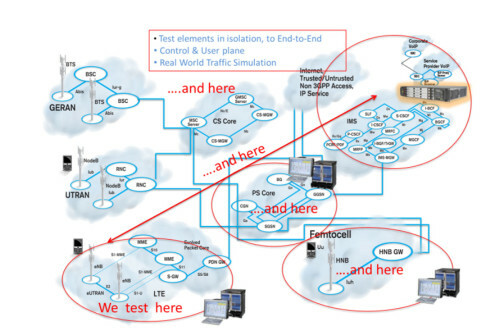 Testing of such complex network elements in a service-oriented network in terms of interoperability, service quality and end-user experience often pose a significant challenge. OdiTek offers product validation & QA services to OEMs and Service Providers leveraging the expertise & it’s experience in product engineering and testing for 2G-3G-4G, IMS & VoLTE technology solutions. Our system testing & QA services are designed to ensure maximum test coverage and handsome productivity gains from test automation. A team with mix of experience (domain, testing, interest, language). High degree of command and control over testing processes & procedures. Good knowledge of telecom specifications. Focused on finding faults in system flow. Excellent debugging and analysis skills. Conduct regression and conformance tests based on specs. The application and its technology stack which is to be tested. Skills sets available in the organisation.